The Martin Luther King, Jr. Memorial will be ready for dedication in August. 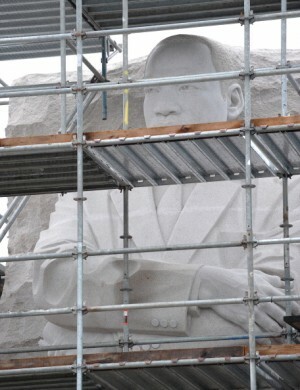 Work on the Martin Luther King, Jr. memorial is almost complete, and the dedication is set for Aug. 28. Lei says he admires Dr. King for his fight for equality among people of all races. The work is even more impressive considering that Lei did much of the sculpting from memory.